The study and practice of veterinary medicine are inherently dangerous and impose risks of traumatic injury and exposure to potentially fatal zoonotic diseases. 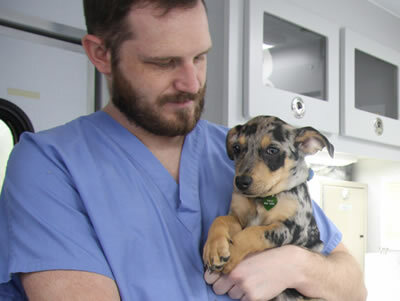 Students are responsible for the cost of their own medical care during their veterinary training. Beginning with the class entering the College in the Fall of 2010, students are required to have health and accident insurance during the entire professional curriculum. Students will be required to provide proof of insurance to the Office of Academic Affairs at the beginning of each academic year. Those who fail to provide proof of insurance will not be allowed to participate in activities that involve contact with live animals or animal tissues and will not meet the academic requirements of the College.